Astrophysicists estimate that there are 1 billion trillion stars in the observable universe. That is a “1” with 21 zeros after it. Yet Psalm 147:4-5 says “He determines the number of the stars and calls them each by name. Great is our Lord and mighty in power, His understanding has no limit.” Jesus told the disciples in Luke 12:7 that even the hairs on their heads were all numbered. King David wrote about God’s omniscience in Psalm 139 and celebrated the fact that before David could even speak a word, God already knew what it was going to be. Not only does God know all the complexities of the cosmos, God understands the infinite complexities of the subatomic because He effortlessly spoke them into being. One implication of God knowing all things is that God cannot learn. 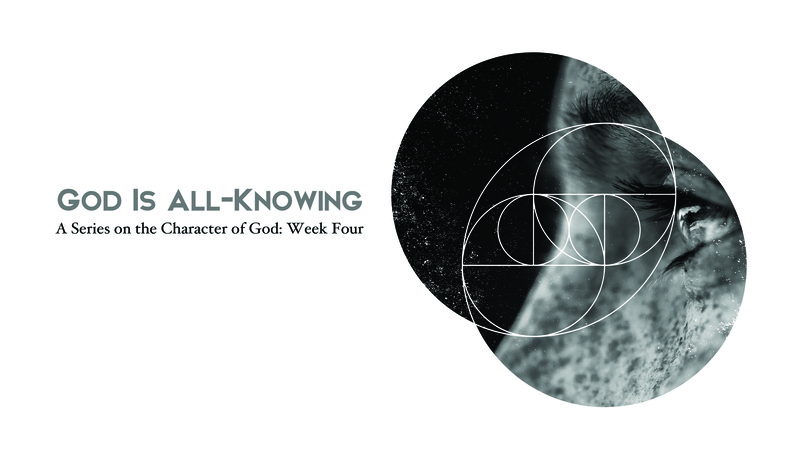 There is no piece of knowledge that exists, whether abstract or physical, that God does not know. Isaiah 40:13-14 declares, “Who can fathom the Spirit of the Lord, or instruct the Lord as His counselor? Whom did the Lord consult to enlighten Him, and who taught Him the right way? Who was it that taught Him knowledge, or showed Him the path of understanding?” If there was even the tiniest bit of knowledge that existed that God did not have, He would not be God. God’s omniscience is an attribute that we do not share with Him. The only reason we know anything is because He graciously shared a minuscule amount of His own knowledge with us. God does and allows things to happen in our lives that are painful and seem purposeless. We can respond either by getting angry because we cannot understand or we can humbly trust that God knows and understands the purpose and effect of absolutely every event in our lives, further, His knowledge and understanding are saturated with His goodwill and kindness to us. We will never fully understand like God does, but we can rest in the fact that not one thing in this universe is without purpose or outside of our loving Father’s wisdom and understanding. Father, like David said, “when I consider your heavens, the work of your fingers, the moon and the stars, which you have set in place, what is mankind that you are mindful of them?” Your infinite wisdom and understand is far beyond me. Help me to not be overwhelmed by the things I cannot understand, but cause my heart to worship and rest because You know all things and work all things according to Your will.